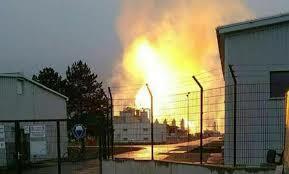 Seen as the safest, most performing, efficient, flexible and environmentally friendly gas facility in Europe, Baumgarten, a reference in the European gas industry, was the scene of an incident that caused the biggest emotion in the gas market in the history of natural gas. An emotion that has resulted in an instantaneous increase in gas prices in some SPOT markets, but also an immediate reaction of Italy by declaring, too easily, the state of emergency etc. The Regulation 994/2010, with the force of law in each EU country, determined many countries (including Romania) to “rest upon their laurels” and not worry about the development of effective ways of preventing crisis situations, to be developed from the design phase, the construction phase, enabling technical and economic optimizations. There was a European Regulation and everyone was pleased. The perception that if something happened we have a European Regulation, we have principles of mutual assistance between countries, we have the EU with us etc. But the Regulation 994/2010 only forces the countries to prepare their own Plans to prevent crisis situations and their own Emergency Plans in the event of crisis, with the threat that if they fail to do so, there is a possibility to trigger the infringement procedure. Many countries have drawn up these plans, only to eliminate the danger of infringement, the plans having almost no functionality, not to mention an appreciation in the market. For example, the recent Plans for the prevention of crisis situations and Emergency Plans in the e vent of crisis in the gas market, subject to public debate on the website of the Ministry of Energy of Romania, have not sparked anyone’s interest, although in order to have functional plans, in Romania, these documents require many changes and an important collective involvement from many market players. The Regulation 994/2010 has created for some EU states the illusion that they can be helped in a gas crisis, determining them to let their guard down in terms of developing concrete national crisis prevention and resolution mechanisms. The development of gas exchanges, of the SPOT markets and setting gas-to-gas prices determines, as proven by the incident in Austria, a rapid response and the immediate evolution of gas prices, reaction accentuated by the appreciation in the mind of players that it’s impossible for something to happen at the Baumgarten hub, emphasizing the emotion when the incident occurred, later finding that it was an incident with a reduced impact. The risks of the gas activity in various areas of Europe, the way in which they are perceived or presented (fake news), volatility of gas prices as a result of their trading on SPOT markets, require a completely different approach in the establishment of European Regulations concerning measures to safeguard gas supply security, the conception of the Action Plans and Emergency Plans, and how to use them. SPOT gas markets determine a radicalization of the modality of treating “crises” in the gas market. I believe it is first of all necessary to reinstate the responsibility for preventing and treating crises at national level not through a “practical-free scrap paper”, which avoids infringement, but through a Road Map for prevention and an appropriate modification of national legislation allowing real and non-abusive interventions in the market, the operationalization of the Competent Authority for Natural Gas, including granting the right to apply sanctions to those who do not comply. Secondly, I believe it is necessary to initiate concrete and clear treaties between countries, so that the mutual assistance plan can go beyond the slogan.